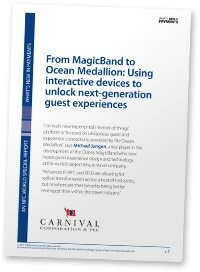 In this 12-page paper Michael Jungen, a key player in the development of the Disney MagicBand who now heads guest experience design and technology at Carnival Corporation, provides in-depth insight into the technical development of the Ocean Medallion, the company’s new Medallion Class ships and Carnival’s ‘experiential internet of things’ — xIoT — platform. Jungen begins the paper with a look back at the development of the Disney MagicBand, the technology behind it and the reasons why Disney was willing to invest in such a major undertaking. He then examines the inspiration behind the Ocean Medallion and the next generation guest experiences it is designed to unlock. Jungen provides detailed insight into the technology employed in the Ocean Medallion and the challenges his team faced in developing it, details the Ocean Compass digital experience portal that serves as a guest’s personal concierge before, during and after their vacation, and the xIoT ecosystem — a network of more than 7,000 sensors and readers located across each smart ship. “Advances in NFC and RFID are allowing for radical transformation across a host of industries, but nowhere are their benefits being better leveraged than within the travel industry,” Jungen says. 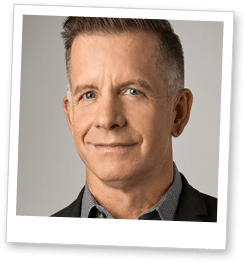 This twelve-page article has been written by Michael Jungen, Carnival Corporation’s senior vice president of guest experience design and technology, and forms part of NFC World’s What’s New in Payments report. This twelve-page document is available free of charge to NFC World Knowledge Centre members (PDF format, 4.1MB).